Hers is a passion that goes beyond simply a business model. Hence, when Rubeina Karachiwalla tells you that organic is the new normal, you are inclined to believe her. The statistics certainly support this theory, with the organic beauty market currently growing by 52 per cent per annum (the mass market is said to be growing at just 13 per cent). So what made her give up a successful career in PR to venture into this field? 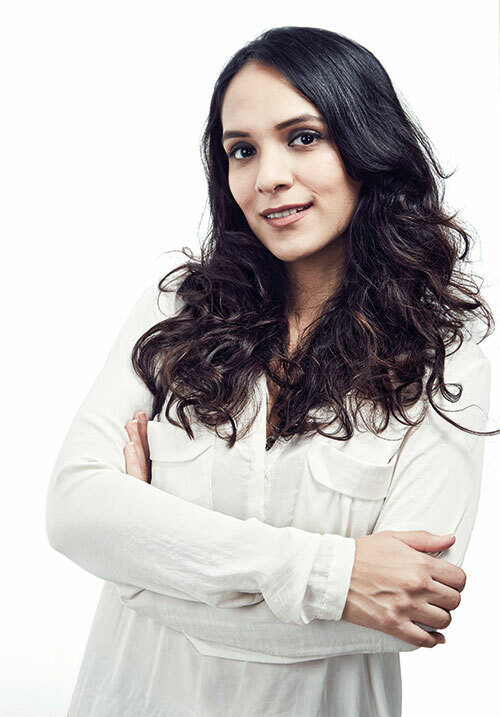 “Ruby’s Organics was born out of a need to fill in the gap for healthy make-up products in India. We had intended to revolutionise the way women use make-up by introducing an entire range of clean and green products, specifically for Indian skin tones and textures. I did a certified make-up course while working in PR. I was fascinated by the beauty industry and always hoped I could contribute to it someday. Once the idea was conceived and the business plan was ready, I quit my job to devote all of my time and energy to this. It took about two years to develop the products with the help of an R&D company that helped us fine-tune our prototypes,” she explains. But the process wasn’t quite done yet. Karachiwalla had to spend another year building the brand. As someone for whom the concept of organic was still relatively new, she says she needed to invest a lot of time and resources in education and communication. The challenge was managing to do this with limited resources and funds. She enlisted the services of graphic designer and best friend Sanjana Kothari, who helped her come up with the design and packaging — they settled on fun and attractive — in keeping with the brand aesthetics. 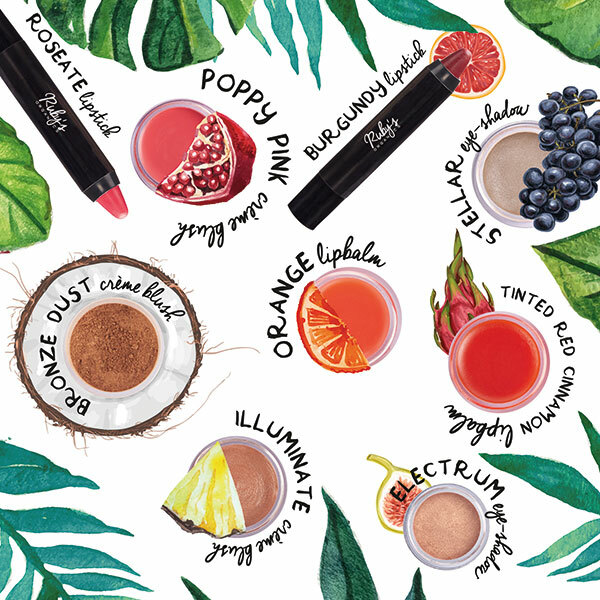 Where Ruby’s Organics differs from their competitors, apart from having first-mover advantage against other brands offering similar non-toxic products, is that while they carry one or two categories, she offers the whole gamut — concealers, foundations, blushers, eyeshadows, bronzers, highlighters and lip balms. For now, Karachiwalla plans to expand within the periphery of make-up, an area she knows well. Skincare and hair care will soon follow suit, though. She is a staunch advocate of the dangers of commercial cosmetics. “Cosmetics the world over are crammed with carcinogens, petrochemicals, allergens, alcohols and heavy metals. All of these can cause harm to the physiology of your body. It’s important to know what it is that you are consuming and burdening your skin with. Our skin interacts with everything it comes in contact with. In a world where we are already being exposed to harmful contaminants in our environment, we can start by consciously choosing what we use. We want to be that alternative for those who seek that value in a brand,” she asserts. Accordingly, Ruby’s Organics has all the essential requirements of safe and healthy products, with a combination of seed butters, plant-derived oils, natural waxes, clays and minerals. They don’t use water in their products, which eliminates the need for harsh chemical preservation — oil-based formulations require less amount of preservatives. The colours come from food-grade pigments permitted by Ecocert. All of this combined, she says, becomes the base of a healthy product that goes beyond make-up to give you value-added skincare. Karachiwalla knows of the benefits first-hand. “I have seen my skin look a lot healthier and feel more moisturised than ever. I haven’t had parched lips in years!” she vouches. But it’s not enough to just create such a line. In her case, it’s about giving back to society. “We licensed our manufacturing to a company based in Umbergaon, Gujarat. They are a FDA-approved company who specialise in colour cosmetics. During every round of production, we have an inspection process conducted to ensure the best quality. Our products are assembled by hand by a community of local women in this small town, who work part-time jobs to contribute to their family, and I am glad that in a small way, we can better their livelihood,” she says. Her line is available online through their website along with select retailers all over India. The response has been gratifying, with people from across the country reaching out to show their appreciation. And global expansion seems to be more than a pipe dream this year. “Seeing something I innovated in my kitchen using a coffee grinder being sold nationwide is an amazing feeling!” she exclaims. The fact that the organic market is so niche is only an advantage. “Big corporations don’t see the value in that, which is where home-grown, boutique brands like ours can create a space of our own,” she smiles. Inspiration, she finds, is there for the picking. She lists the brands that have had a huge influence on her — RMS beauty, W3LL People, Tata Harper, Bite Beauty, Luma Cosmetics, Glossier and ILIA Beauty. “They’re changing the dynamics of beauty globally, and we want to achieve just that,” she enthuses. Closer home, she credits brands like Forest Essentials, Kama Ayurveda, Soulflower, Ayca and Organic Harvest with working with the same philosophy. With any successful brand, there are bound to be detractors, and the world of organic beauty has more than its share, with people questioning the efficacy of these offerings against the more tech-advanced commercial giants. Karachiwalla shrugs them off. “That our make-up is ineffective is absolutely incorrect. The only limitation we have is with the colours and textures we can work with and the shelf life of a product. Our products are highly pigmented and can be compared on application with any other brand available. We use natural and bioactive raw materials to replace cheap and synthetic ingredients that are designed to replicate natural ones. Big corporations need to use cheaper and more durable ingredients,” she laments. More than this, however, her biggest obstacle is convincing women to purchase a new product online without trial. But if anyone can do it, Karachiwalla can. “I was 25 when I started on this journey all by myself, with absolutely no backup or resources. I learnt to be a hustler, and there’s no stopping me now,” she ends with a laugh.